AUTOLOGIC DIAGNOSTICS AT HYPERMOTIVE - WE FIND YOUR FAULT FAST AND FIX IT! 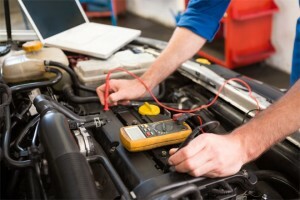 Whilst we specialise in French and German cars we can find faults, diagnose and fix all makes and models of cars and are one of the few independent garages in the Bournemouth area that can do this. We have main dealer diagnostic testing equipment to find and fix your fault at the fraction of the price with our specialist trained technicians. Our fully integrated diagnostic system means we can save on labour time and get your car back and running to a high standard before you know it. To find out more contact us today - one of the only garages in Bournemouth offering this state of the art diagnostic testing system. Very attentive Sales Team who made sure that everything was spot on.